How Much Does a Hamster Weigh? 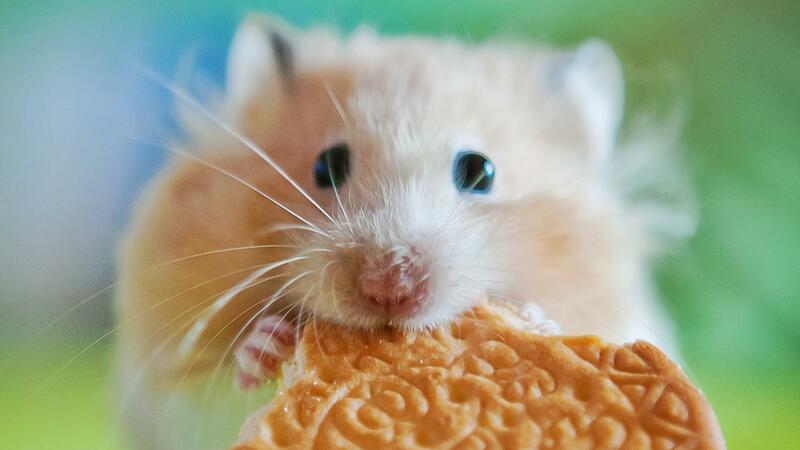 Golden hamsters usually weigh from 100 to 125 grams. The most common dwarf hamster, the Campbell's hamster, averages 23.4 grams. Both species are popular as pets. Golden hamsters are native to Syria; Campbell's hamsters are native to inner Mongolia and northeastern China. Both species are found worldwide as pets and laboratory animals. They have docile temperaments and are inexpensive to maintain. Because hamsters are fragile, the American Society for the Prevention of Cruelty to Animals recommends that hamsters not be handled by children under age 6 and that older children be supervised by an adult. The Humane Society of the United States also cautions against allowing young children to handle hamsters and warns that hamsters can transmit salmonella. What Are Some Tips for Caring for a Pet Hamster? How Can I Tell If My Dwarf Hamster Is Pregnant? What Are Some Popular Hamster Games?